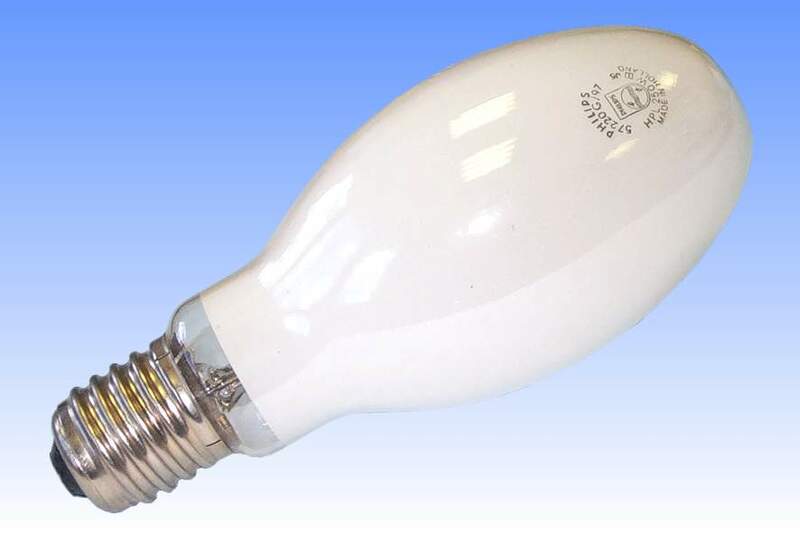 Until 1950 the only phosphor to be in popular use for mercury lamps was zinc cadmium sulphide, producing an orange colour light and doubling the red ratio of the lamp. On account of the high cadmium content the the powder itself had a yellow base colour, which absorbed blue light and these lamps had a net greenish output, making them unpopular. In 1950 a remarkable new phosphor was perfected by Westinghouse, this being Magnesium Fluoro-germanate activated by quadrivalent manganese. It was almost neutral white in is base colour, had a high quantum efficiency, and added a significant amount of red light peaking at 658nm. 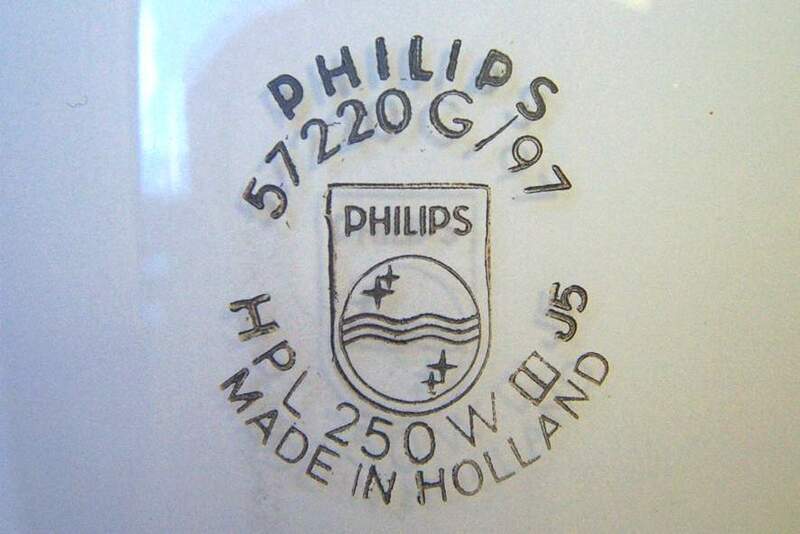 It was promptly licensed to all principal lampmakers, except Philips who had been working on its own materials. 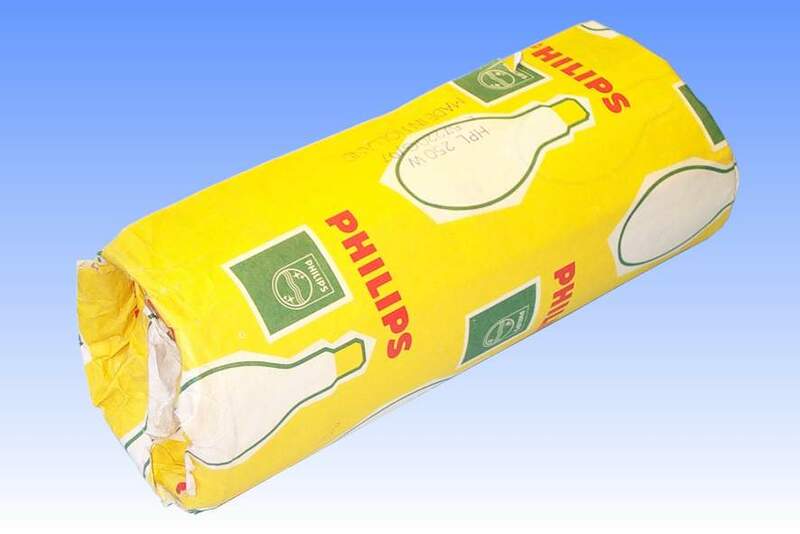 Philips new HPL lamps instead favoured Magnesium Fluoro-arsenate, which had almost identical spectral properties since it is also activated by quadrivalent manganese. Through this material Philips avoided having to pay licensing fees to Westinghouse for the use of its germanate materials. 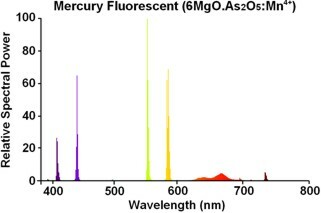 Arsenate phosphors did have one serious drawback in the early days - it was found that the low oxygen partial pressure in the outer bulb resulted in the reduction of quadrivalent manganese to the divalent form, and the phosphor lost its efficiency quite rapidly. The problem was rapidly solved through an ingenious solution - the gasfilling in the outer was changed to carbon dioxide. The intense UV of the arc tube was then responsible for the evolution of oxygen from the gas at a tiny rate. It proved just enough to prevent reduction of the phosphor while never rising to a high enough level to cause oxidation of the arc tube's moly foil seals. References: 1) Philips UK Lamp Catalogue, 1965. 2) Philips Australia Lamp Catalogue, c. 1965. 3) Spectral and colour data from actual lamp measurement.